If you’re a regular reader of my blog you’ll notice that unless there’s only a couple of weeks in a month I’m a bit behind on Quote of the Week posts. I apologise for this, I really do but the truth is… TALK TALK ARE TRYING TO SABOTAGE ME. The past month our internet connection has been absolutely ridiculous despite several complaints to the Talk Talk team so I’m doing my best! Now that that’s out of the way… on to this week’s quote! I love this quote because I think you can not only apply it to yourself but also other people. 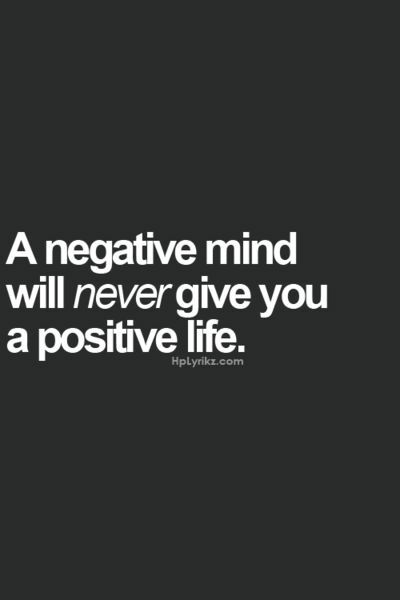 In my opinion all negativity does is decrease productivity – it’s good for nothing. It’s okay to worry and it’s okay to be sad but to get stuck in a rut dwelling on something you can’t change is time and energy consuming. Recently I’ve learned to just go with it and honestly this past month I’ve been SO happy and felt so much better for it. I don’t want to go into too much detail but the past two months I’ve had a couple of doors close and spent a lot of time fretting over something that just wasn’t worth it. A few weeks on all those doors have been replaced by even bigger ones with much shiner handles and I’m really optimistic about what the future holds for me. I’ve seen so many of my friends be verbally attacked by complete strangers and had a bit of a scary experience myself a few weeks ago when I was walking home from a night out minding my own business when two men threatened and racially abused me – just because I was there. At the time it was pretty upsetting and scary, but when I look back at it all I feel is pity for them because whether it be a stranger or a friend it never pays to be a bully.